is it’s great weather all year round. Nestled in a valley, Tucson is surrounded by mountains that rise as high as 9000 feet. I think it’s a surprise for some visitors when the come here for the first time. Many of my clients from other cities have told me that they thought Tucson was flat and sandy with extremely dry weather. One of my favorite things about Tucson is the weather. Okay, the air is very dry in Tucson. Drink lots of water. The average high temperature is 81 degrees and the average low is 54 degrees. With warm and sunny weather throughout most of the year, Tucson is a great place if you like to go hiking, biking or running. 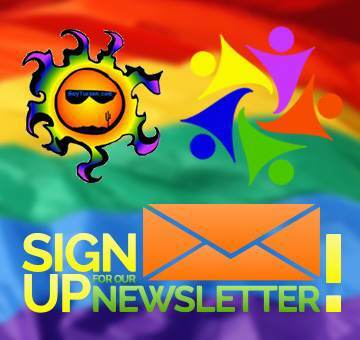 Check the groups/clubs/activities page of Gay Tucson for more information. I’m always adding info as I find it. I think there is a gay hiking club and a gay running club. Tucson has an average of 12 inches of rainfall each year. Three of my favorite months are July, August and September. During these three months, Tucson gets over 50 percent of it’s rainfall. You may have heard about our monsoon season. They are referring to the storms during these months. They typically role in for a few hours, leave a lot of water and then disappear into an incredible sunset. I took the photo of the sunset with the saguaros after a monsoon storm. The weather is responsible for the lush, Sonoran Desert vegetation in Tucson. The giant saguaro is unique to the Sonoran Desert. These cactus can be as tall as 50 feet and can age up to 200 years. You can see them all over Tucson and surrounding areas. One of my favorite sites is to see a saguaro covered in snow. It doesn’t happen very often.